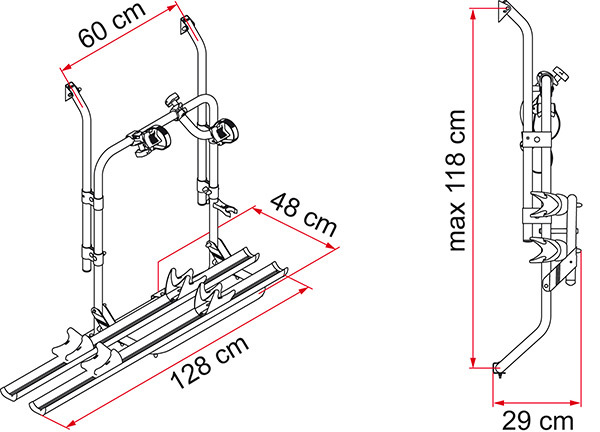 Bike carrier for van conversions with double rear doors, wheelbase variable from 58 to 62cm to adapt to different rear doors. 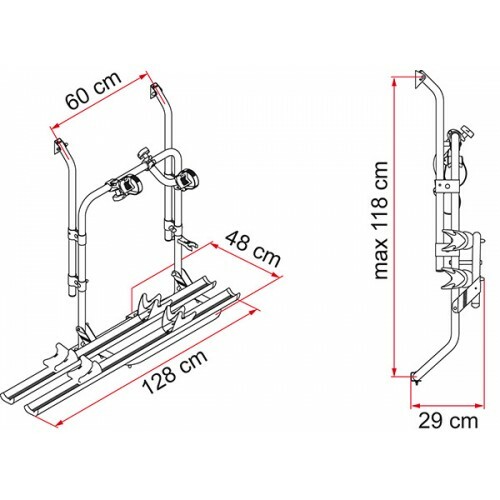 Upper wall installation brackets only 34mm wide. 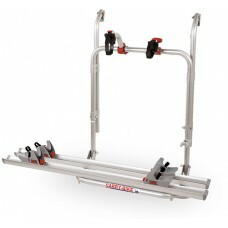 This is a universal rack and can be fitted to most vans.